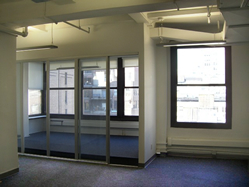 Chelsea Office for Lease | West 14th Street - $53 / 2570 SF. 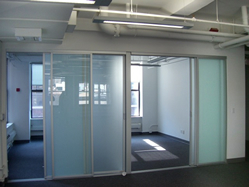 This built out features 2 offices and open space for administrative use. The space is currently configured with 1 or 2 private offices or use secondary office for a conference room plus a large open work area. This commercial loft is spacious at just over 2,570 square feet enjoying a low loss factor in its build-out. This loft features a northern / western exposures as it is a corner unit within the building. This all combined with the addition of a well-maintained / managed property, make this loft listing desirable for any type of business seeking a practical contemporary commercial loft in Chelsea. The loft herein comes presented in a clean white shell with new carpeted floors and lighting. 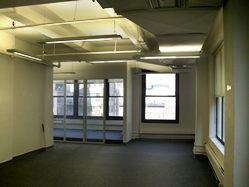 Perfect for creative tenants, tech companies, start ups, or small private firms - tenant contact only. 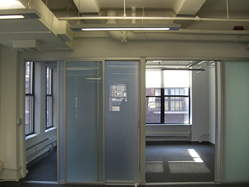 - Trendy, tech-corridor, conveniently located to many industry names!